By a News Reporter-Staff News Editor at Health & Medicine Week -- A new study on Smoking is now available. According to news reporting originating in Research Triangle Park, North Carolina, by NewsRx journalists, research stated, "A previous study found that the Food and Drug Administration's The Real Cost national tobacco education campaign was associated with preventing approximately 350,000 U.S. youth from initiating smoking between 2014 and 2016. This study translates the reduction in smoking initiation into monetary terms by examining the cost effectiveness of the campaign." The news reporters obtained a quote from the research from RTI International, "The cost effectiveness of The Real Cost was assessed by measuring efficiency in two ways: (1) estimating the cost per quality-adjusted life year saved and (2) estimating the total monetary return on investment by comparing the cost savings associated with the campaign to campaign expenditures. Analyses were conducted in 2017. The Real Cost averted an estimated 175,941 youth from becoming established smokers between 2014 and 2016. Campaign expenditures totaled $246,915,233. The cost per quality adjusted life year saved of the campaign was $1,337. When considering the costs of smoking, the averted established smokers represent >$31 billion in cost savings ($1.3 billion when only external costs considered). The overall return on investment of the campaign was $128 in cost savings for every $1 spent ($4 for every $1 spent when only external costs considered). These conclusions were robust to sensitivity analyses surrounding the parameters. Campaign expenditures were cost efficient. The cost savings resulting from The Real Cost represent a large reduction in the financial burden to individuals, their families, and society as a result of tobacco." According to the news reporters, the research concluded: "Public health campaigns, like The Real Cost, that reduce tobacco-related morbidity and mortality for a generation of U.S. youth also provide substantial cost savings." Our news correspondents report that additional information may be obtained by contacting A.J. MacMonegle, RTI Int, Res Triangle Pk, NC 27709, United States. Additional authors for this research include J. Nonnemaker, J.C. Duke, M.C. Farrelly, X.Q. Zhao, J.C. Delahanty, A.A. Smith, P. Rao and J.A. Allen (see also Smoking). The direct object identifier (DOI) for that additional information is: https://doi.org/10.1016/j.amepre.2018.05.006. This DOI is a link to an online electronic document that is either free or for purchase, and can be your direct source for a journal article and its citation. Keywords for this news article include: Research Triangle Park, North Carolina, United States, North and Central America, Investment and Finance, Risk and Prevention, Health and Medicine, Business, Smoking, RTI International. 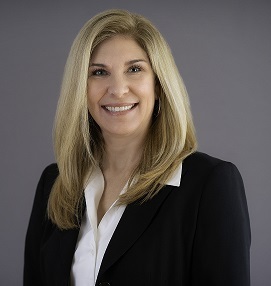 Kemper Corporation announced that Cheryl Kingsfield Neal has joined the company as President of Kemper Life, effective today. Neal will report to Mark Green, President of Kemper’s Life & Health Division, and will be based at Kemper Life’s headquarters in St. Louis.